At the start of the twenty-first century, government mandates and corporate practices are resulting in growing inequities in the U.S. educational field. Many view this as being driven by whiteness hegemony. 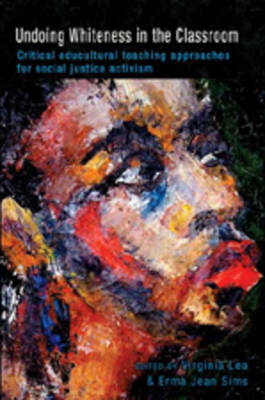 Undoing Whiteness in the Classroom is a comprehensive effort to bring together, in one volume, educultural practices and teaching strategies that deconstruct whiteness hegemony, empower individuals to develop critical consciousness, and inspire them to engage in social justice activism. Through music, the visual and performing arts, narrative, and dialogue, educulturalism opens us up to becoming more aware of the oppressive cultural and institutional forces that make up whiteness hegemony. Educulturalism allows us to identify how whiteness hegemony functions to obscure the power, privilege, and practices of the dominant social elite, and reproduce inequities and inequalities within education and wider society.